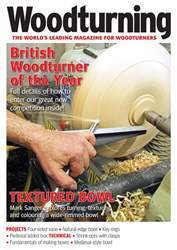 In issue 270 of Woodturning magazine we have lots for you to enjoy. 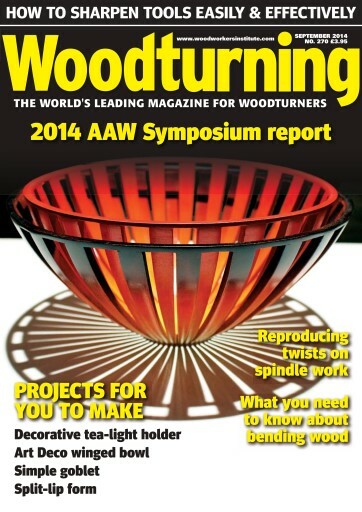 In our ‘Projects’ section Neil Scobie turns and carves a birch burl into a split-lip form; Mark Sanger shows how you can use small spindle blanks to great effect to create a stunning tea-light holder; Philip Greenwood explains how to turn a simple goblet and Sue Harker shows you how to make a decoratively shaped Art Deco winged bowl. 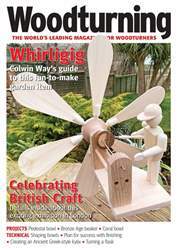 In our ‘Technical’ section Kurt Hertzog looks at the topic of wood bending; the Editor looks at how to sharpen your turning tools; Richard Findley concentrates on reproducing twists on spindle work; Dave looks at using sycamore and Larry Jenson describes some of the pieces he has made using resin. 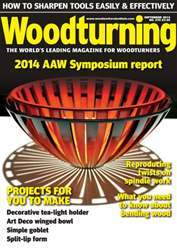 In ‘Features’ Mark Baker reports from the annual AAW Symposium; we meet Dan Tilden and find out more about his woodturning career and Phil Irons shares a stunning wall-hung piece with us. 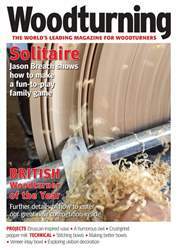 As well as all this, we also have ‘Kit & tools’, ‘Leader’ from Mark Baker, ‘Round & About’ and we give you a sneak peek at our next issue. All this and more in issue 270!